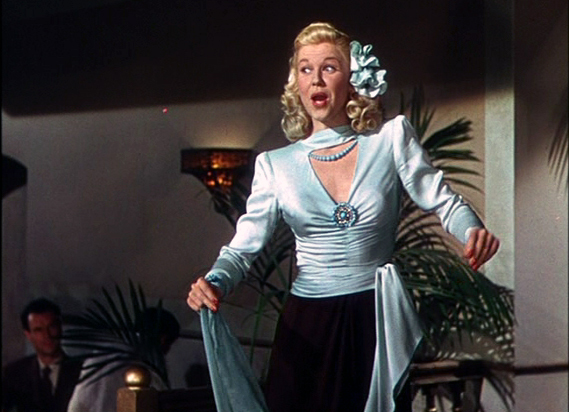 Doris Day in “Romance on the High Seas,” 1948. Public domain image. 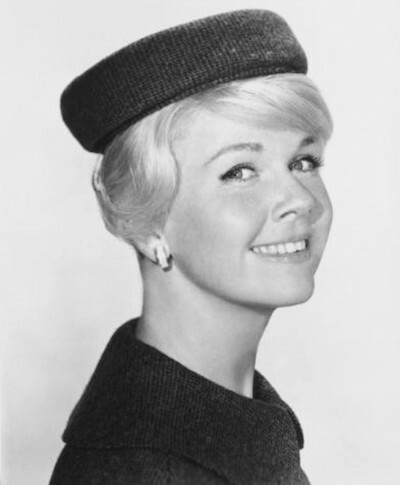 Doris Day, the legendary actress, always has had a heart for putting others first…even when it’s her special day. This year, the legend turns 91 and while Doris has told Closer magazine in a recent interview that she’s never been fond of celebrating her birthdays, she uses April 3 as a day to help others. Doris, you see, has been an animal rights activist for many years, embracing the cause of taking care of the world’s four-legged friends. Reportedly, her interest started when she had her dog, Tiny, get killed by a car, while she was walking him without a leash during her teens. She was walking Tiny leash-free after she had been in a car accident herself and was saddened and feeling remorseful after the tragedy…leading to her heartfelt quest. 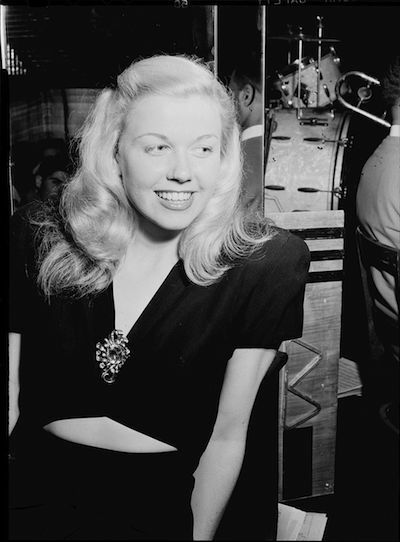 A beautiful photo of Doris Day in her early 20s, photographed in 1946, at the Aquarium Jazz Club in New York. Public Domain Image by William Gottlieb. After championing for animals for many years, including her time as a co-founder of Actors and Others for Animals, she started the Doris Day Animal Foundation (DDAF), a non-profit organization, in 1978. Doris was coined “The Dog Catcher of Beverly Hills,” according to her foundation webpage, for taking in lost dogs and panning through her neighborhood to find the owners. And she began matching lost pets with famous stars after she could not find the owners, doing home inspections herself to ensure the furbaby was properly matched. The Doris Day Animal Foundation (DDAF) image, courtesy of Facebook. Neuter and spay programs have been another cause for her and she’s lobbied too in the animal rights arena through the Doris Day Animal League. Her arm reaches far as well through the Doris Day Horse Rescue and Adoption Center, pet food pantries, and more. She has raised monies to give grants to shelters and rescue groups. And one of her heartfelt gifts has been helping to match senior animals with senior citizens — and to provide funding to help a senior citizen keep their cat or dog — which may present an added expense to a senior. Of course, no one can question the companionship and love that a pet brings, especially to the life of someone who may be alone, or having difficulties in getting out. What a generous heart Doris has for both the pets and the senior citizens to help. 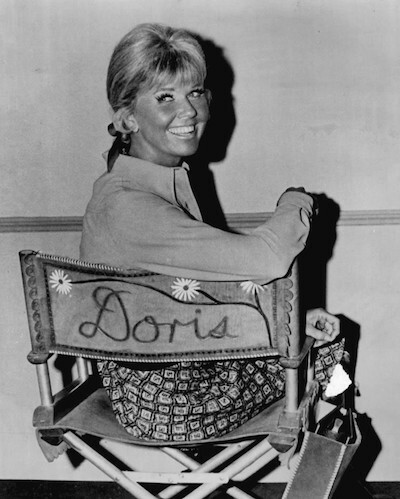 Sweet Doris Day radiating on the set. Public domain image. But on her birthday, Doris told Closer there is going to be a special celebration on April 3 at her Cypress Inn in Carmel, California, where she is a co-owner. This is something that Doris does annually for her guests. She told Closer it is a way she can celebrate the cause closest to her heart — which is the animals. The historic inn is considered very pet friendly, with the deluxe venue providing special blankets for pups during their stay and the opportunity to run without a leash at Carmel Beach. There are even restaurants where dogs are welcome to join their owners. There is also a special eBay auction currently, for Doris’ birthday, of an autographed script from Jimmy the Gent, an episode of The Doris Day Show, with all proceeds benefitting the organization. Click the video to see how Doris celebrated her 90th birthday with those dearest to her. We at InsideScene.LA would like to wish Doris a very beautiful 91st birthday and many thanks for your heart for animals and your many years of championing on their behalf. You have saved many animals the heartache of living lives less than they deserve…and have helped to enrich the lives of the humans too that they’ve been connected with. Both animals and their human families are extraordinarily blessed with thanks to you. Thank you for your beautiful heart and sending lots of puppy dog love and kisses your way. God bless and thank you! You are a class act. Enjoy your birthday whatever your plans are and thanks for sharing your day with fans and furbabies to make a difference in this world. A class act. Doris Day in a still for the film, “Midnight Lace,” from 1960. Public domain image. Share this story with your friends to wish Doris Day a Happy Birthday…and to let other know about her caring spirit.